News from various sources around the web. The Air Force’s new long-range stealth bomber will be designated the B-21 and the first artist renderings of the aircraft show an angular flying wing with recessed engines and smooth elongated teardrop fuselage. AC 120-76B is the most detailed guidance for Electronic Flight Bags, but it probably doesn’t apply to you. The number one question we get on using an iPad for charts is whether it is “legal” for aviation use. The definition of “legal” depends on what type of flying you do and what you’re using your iPad for, so there’s no one-size-fits-all answer. Here we’ll cover the applicable Federal Aviation Regulations (FARs) and Advisory Circulars (ACs). But first one suggestion: don’t get caught up in all the minutiae. The short answer is that the iPad is absolutely a legal replacement for paper charts in the cockpit (at least for most Part 91 GA flying). When we say “most” Part 91 GA flying, we’re referring to operations in piston or turboprop aircraft with a max gross weight less than 12,500 lbs. If you’re flying a large, multi-engine turbojet however, you’re also governed by FAR Part 91F (Large and Turbine-Powered Multiengine Airplanes), and you’ll want to pay close attention to the new AC 120-76C outlined below. “Aircraft operated under part 91, except for parts 91F and 91K, require no EFB authorization or compliance with this AC, provided the EFB does not replace any equipment or operating information required by the regulations.” This is the line that shows most general aviation pilots are not affected by this AC. “For all aircraft, PED regulatory compliance is required. ” This refers to FAR 91.21 above. Class 1 EFBs are portable and not attached in any way to the airplane (kneeboard is still Class 1)–think iPad. Type B must be accessible in the cockpit during flight, and is interactive in nature. Examples include power setting charts, runway calculations, charts, checklists, weather or a weight and balance spreadsheet. Popular apps like ForeFlight, WingX and Garmin Pilot are Type B applications. Type C are FAA-approved applications. Battery backup must be available. The AC offers three ways to meet this requirement, the easiest of which is to allow charging in flight. A recent addition to version C of the document, the FAA is worried about the accuracy of navigation and chart databases. Two standards documents, RTCA/DO-200A and RTCA/DO-257A, are suggested means of compliance with this section. Confused yet? You’re not alone. The FAA was attempting to consolidate all applicable information in one place with AC 120-76C. But the end result is a lengthy, complex, 38 page document that is often difficult to follow and requires a good deal of work for 91F operators to fully comply with. If you’re flying a large multiengine airplane and are looking for assistance in complying with this AC, check out Sporty’s iPad EFB Approval program. Check out our Flying with the iPad Quiz to further test your knowledge. The focus on FAA reauthorization is moving to the Senate as controversial House legislation to privatize air traffic control services is taken out of play. MIRAMAR, Florida — Becker Avionics is celebrating 60 years in business this year. The Becker Avionics story started in 1956 at the edge of the airfield in Baden-Baden in the Southwestern part of Germany by Max-Egon Becker. Becker’s passion for aviation and his flair for revolutionary technical solutions identified the corporate culture right from the beginning, company officials noted. Now 60 years later, Becker Avionics designs, manufactures, sells and supports a range of navigation and communication equipment for Airborne, Air Traffic Control, Mobile and Search and Rescue applications. Becker Avionics’ customer base includes: AgustaWestland, Airbus, ATR, the Austrian Army and Police, British Aerospace, CASA, the Dutch Police, EADS, the Egyptian Navy, the German Air Force, Navy and Army, the German Border Patrol, the German Police, the Indonesian Navy, Pilatus, the Irish Air Corps, the Portuguese Air Force, RUAG, the Swiss Air Force, the US Army, US Air Force, US Navy and US Auxiliary Civil Air Patrol, and many more including firefighting, law enforcement, border security, search and rescue operations worldwide. PLANO, Texas — Blue Sky Innovations, an international business and general aviation consulting firm, has appointed aerospace engineer Jimmy Tubbs Chief Technical Officer. Tubes will be responsible for developing engineering plans and serving as a Designated Engineer Representative (DER) to facilitate modifications and certifications for global clients. His expertise will streamline processes for aircraft and power plant design and development to TC, and FAA STC management for power plant, airframe and avionic modifications and upgrades, according to company officials. In addition, he will be involved in working with government regulatory agencies around the world to obtain the proper certifications required for BSI clients to sell beyond their borders. 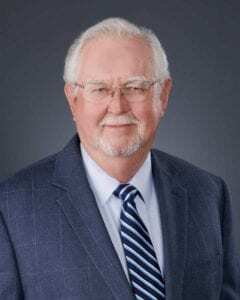 Tubbs has been in the general aviation industry for more than 50 years as an aerospace engineer, A&P mechanic, FAA Designated Engineering Representative (DER), accident investigator and licensed pilot. For much of his career, he has developed modifications and certifications to build and convert piston engines and component parts. He spent 17 years as an civilian engineer and engineering supervisor for the US Air Force where he developed the SUU-21A training bomb dispenser, conducted the F-102 compressor stall program and led the development of the T-38 Lead-Ion Fighter. He left the Air Force when he purchased Daily Tubbs Aero, a company that sold aircraft piston engine component parts and developed modifications to general aviation airplanes. After operating the company for six years, Daily Tubbs Aero was sold to a predecessor company of Danbury Aerospace. Tubes was the VP of Engineering for Danbury Aerospace for 31 years before Danbury was acquired by Continental Motors. AIRR Act May Be On Life Support The FAA reauthorization bill is unlikely to make it to the full U.S. House of Representatives in its current form, as the Republican leadership in the house is reportedly preparing a short-term extension … known as Continuing Resolution … to continue funding the FAA past the end of March. Commerce Committee Chair John Thune Says They May Mark Up A Bill Soon Saying that the Senate was “not going to wait that much longer,” Senate Commerce Committee Chair John Thune (R-SD) indicated that his committee may soon start work on an alternate FAA reauthorization bill that is being developed after the House bill appears to have stalled over ATC privatization. Practical Test Standards Are Being Replaced With Airman Certification Standards For Private Pilot-Airplane And Instrument Rating For many years pilots have used the Practical Test Standards (PTS) for guiding them through testing for pilot certification. The PTS ultimately determines the level of training because of the requirement for new pilots, or pilots obtaining additional ratings, to comply with the standards. In June of this year, private pilots being tested for an airplane rating, and instrument rating applicants will be tested under a new system.